Let’s face it. Not every one of us has those killer eyelashes that we’d dream of. You’ll also find that your natural eyelashes may not fit in well with let’s say your career, outfit, or different styles. As such, there’s always the need to do some sought of re-engineering to get what you want. Luckily, the availability of “customized versions”- I hate calling them fake- have made this possible. These beauty accessories come in all styles to create a different you with each wear.From the thousands of brands flocking our market today, these 10 are driving ladies crazy. You wouldn’t be wrong with any of them. 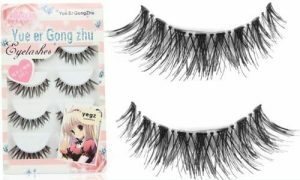 Synthetic fiber-made false eyelashes are known to appear more fake. As such, eyelashes made from 100% human hair could be more welcome. Now, that’s what Amorus have for you. 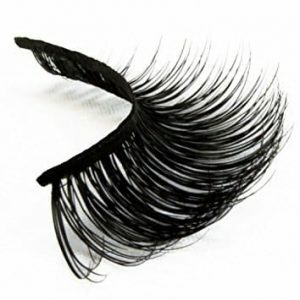 The design of these fake eyelashes makes them perfect for both professional and casual wear. They have been crafted from natural human hair blended with high-quality fiber to make them stronger and softer. Amorus fake lashes are also lightweight and super easy to wear. Given their quality, you can’t beat their price. 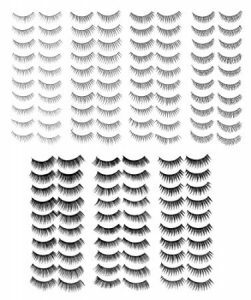 With these 80 pairs of fake eyelashes coming in 10 styles, you’ll not only turn their heads but break their necks too. From extremely spiky to dense lashes featuring extended tips, Ajoy Natural Fake Eye Lashes have all you need to feel gorgeous and a real fashionista. The feather-weight fibers used to make them give these lashes a more natural feel and look. It also makes them easier to apply and to remove. With proper care, they can be re-used several times. 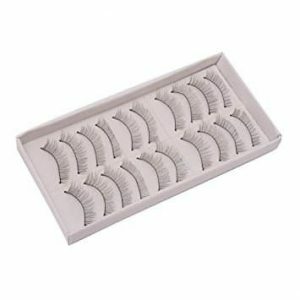 These Ardell Naturals Individual Lashes have been professionally designed for use by both the beauty pros and newbies. What’s unique with these falsies is that they have different lengths and thickness. Therefore, you can customize your look as you need. They are also knotted-free and extremely easy to put on. In fact, most previous users claimed that they’ve been saving several bucks by putting them on by themselves. Not to mention, they are super affordable. 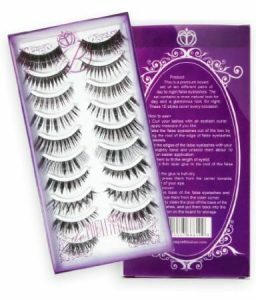 If you need something ultra posh and sweet too, this voluminous Volum False Eyelashes won’t be bad. It’s amongst the few that come with a beauty guarantee or no-questions full refund. They are made of soft and natural-like mink fur. 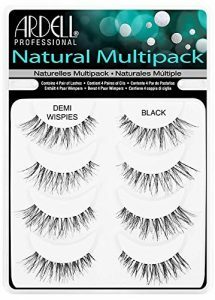 Their make enables them to blend in so well with your natural eyelashes. This is again coupled by how thin they are. With care, Volum Fake Lashes can be reused for at least 25 times. Are you among those who wear a pair of eyelashes each morning? Then, these great 10 pairs are yours. Firstly, their price is a real steal. Secondly, they all feature different styles that will bring out a new version of you with each use day or night. 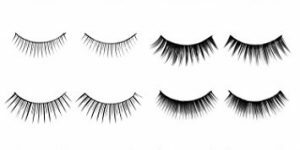 Mapof False Eyelashes have been crafted from high-quality synthetic fibers. They are also durable and can, therefore, be reused over and over again. 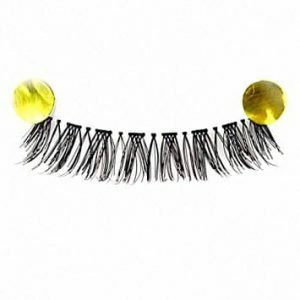 These false eyelashes are among the most sought after on the market today. These 10 pairs are the best out of 200 pairs designed and presented before top-notch makeup artists for selection and approval. Their original price is almost triple what they cost on Amazon today. As such, you need to act now. They come packaged in a purplish and more girlish cube box with a protection cover. Its gorgeous design will not only add some spice to your dressing table but also give your friends that oh-my-gosh stunning look. These 100% handmade 10 pairs of De Prettilicious will go well with different makeup styles, outfit, and moods. Moreover, they are incredibly lightweight and soft. When your budget doesn’t allow some red carpet splurging, and you still feel like breaking some necks, this pack of Ardell Professional Fake Eyelashes has all you need. These 4 pairs have been stacked to bring a more genuine and natural lash upgrade. 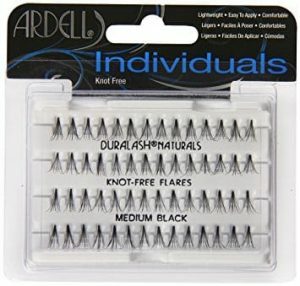 The best thing about these Ardell falsies is that you can hang onto them for more re-uses. 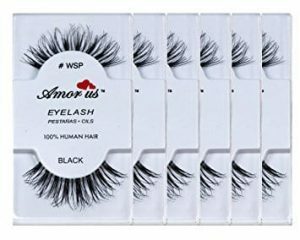 Ardell Wispies falsies have this spiky design that makes them look more natural. Again, they have a thin band that allows you to put on your makeup just as you would love it and without any special considerations. These are wispy, cute, pretty, adorable name it. These high-impact false lashes come in a pair of 5. The most striking thing and what you want to hear about them is that no one would recognize that you weren’t born with them. Again, Skyluna Crisscross False Eyelashes are longer and fuller to enhance your natural outlook by bringing out a new dimension to your chicky eyes. What’s more is that their liner is clear. This comes as a plus especially to those who don’t like wearing eye liners. You wouldn’t be wrong to call this the best false deal ever. 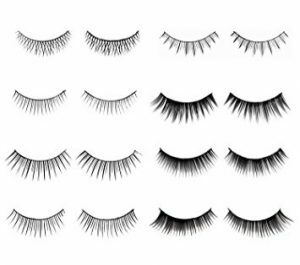 With a little over 10 bucks, you get yourself not 10 or 30, but 70 pairs of charming eyelashes. Now, each of these pairs features a different style. This means that you’ll never run out styles to stand out in every party or at your workplace. Whether you want to keep up with Jane Clan or you want to go the Beyonce of Rihanna way, this pack has your back. The extremely spiky pairs, for instance, will give you that luxurious feeling while the crisscross Flair lashes are for all sorts of exaggerations. Notably, Eye Splashes have been made from super soft synthetic fibers which make them incredibly lightweight. Ltop false eyelashes have the best bang for your buck today. Please do know that it’s not their dirty price that has made them the most highly rated and favored today. These 10 pairs have been carefully handmade with extra caution to make them more attractive and to give you a more natural look and feel. The know how to hold on and will come out pretty easily when you need them to. Again, you can trim them for customized appearances. Those of you who’ve applied eyelashes are witnesses of what a painstaking task it is. Luckily, there are lots of guides on the internet to take you step by step on how to grab that stunning eyelash appearance at the comfort of your dressing table.